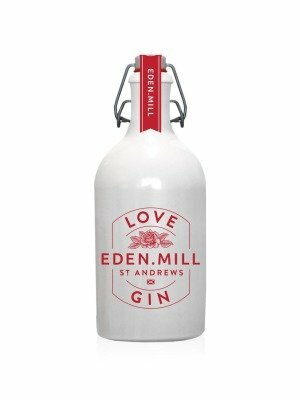 Eden Mill Love Gin is a popular Craft Gin available from DrinkSupermarket.com in 50cl to buy online. Visit DrinkSupermarket.com for the best price for 50cl of Eden Mill Love Gin or compare prices on our other Craft Gin products. Scotland's only single site distillery & brewery, Eden Mill, has crafted what it calls â? ?the most romantic gin ever made; probably! Eden Mill's Love Gin uses a unique recipe that incorporates five core botanicals and eight further exotic flavours (including red rose petals, marshmallow root, goji berries and whole hibiscus flowers). The result is a stunning pink colour gin, a fruity, floral aroma, and a mellow red berry and citrus flavour. Delicious served over ice with a wedge of pink grapefruit and topped with Fever Tree tonic water a serve head distiller Scott has christened the P&T (Pink & Tonic)! Where to buy Eden Mill Love Gin ? Eden Mill Love Gin Supermarkets & Stockists. You can buy Eden Mill Love Gin online in most retailers and find it in the Craft Gin aisle in supermarkets but we found the best deals online for Eden Mill Love Gin in DrinkSupermarket.com, Amazon.co.uk, TheDrinkShop, and others. Compare the current price of Eden Mill Love Gin in 50cl size in the table of offers below. Simply click on the button to order Eden Mill Love Gin online now.